One of the most exciting announcements at the Image Expo in January was this new horror series from the reunited team of writer Scott Snyder and artist Jock, who first knocked our socks off back in Detective Comics with their saga ‘The Black Mirror’ (which paved the way for Snyder’s rise to super-bat-stardom). 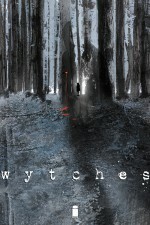 In American Vampire, Snyder swam against the tide to give the old jugular-botherers a relevant and non-sparkly makeover, and we should be able to expect more of the same in this series, which posits that the poor sods who have been burned, drowned, hanged and tortured for witchcraft down the years have just been the fall guys for something much darker, deadly and elusive: the real wytches. With Snyder’s sharp eye for a story, Jock’s bold graphic artwork and the electrifying colouring we’ve come to expect from Matt Hollingsworth, this looks set to be another intriguing debut from Image. Scott Snyder (W), Jock (A), Matt Hollingsworth (C) • Image Comics, $2.99. 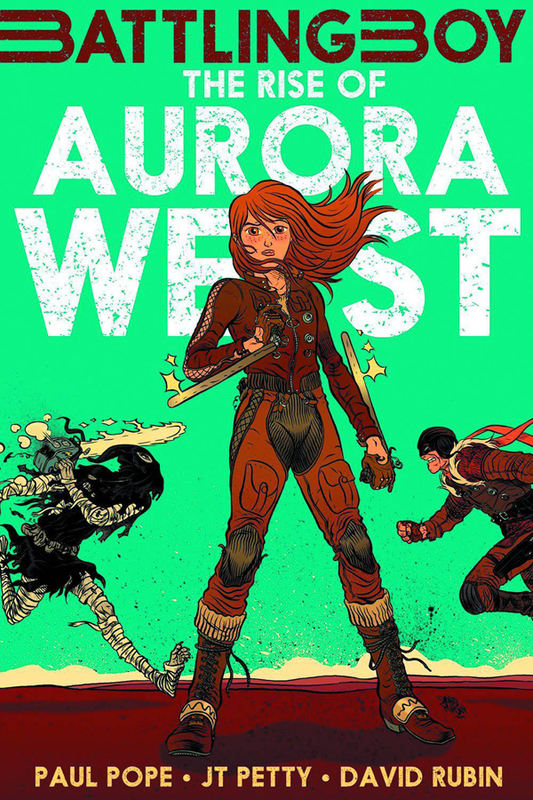 In this prequel to Paul Pope’s Battling Boy, the character Aurora West, daughter of Arcopolis’s last great hero, Haggard West, is given her moment to shine. We see both her great strengths and even her shortcomings as she seeks to uncover the mystery of her mother’s death and to find her place in a world overrun with supernatural monsters and all-too-human corruption. While this prequel isn’t illustrated by the great Paul Pope, it’s clear he does have his hand in the storytelling as this adventure builds upon the world and the characters he created in Battling Boy. 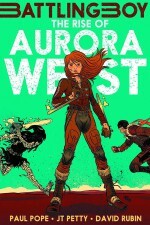 The story also reveals more about the relationship between Aurora and her father, which only makes Haggard’s eventual fate all that much more heart-wrenching when it does occur. The art by David Rubin is very strong and he does a great job keeping with the style Pope established. I wouldn’t say that you need to have read Battling Boy in order to understand and enjoy this particular adventure, but if you have, it makes for a perfect companion storyline. 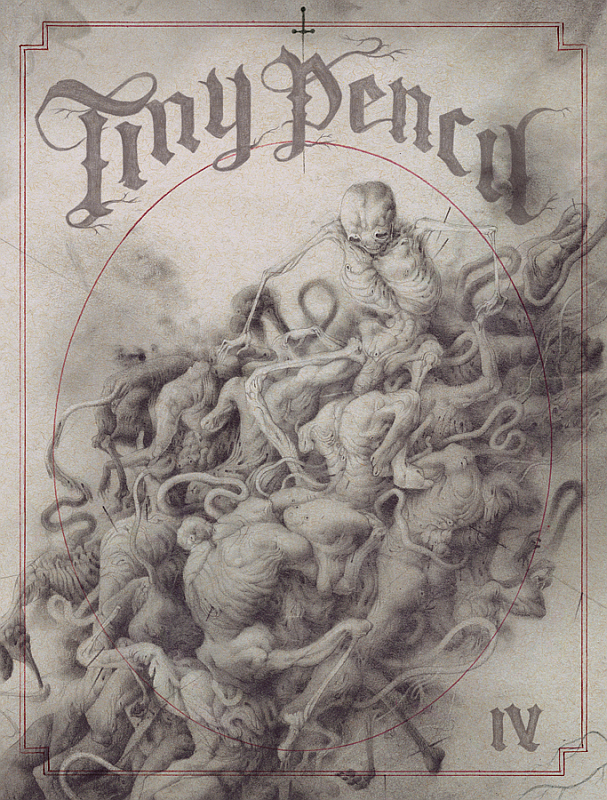 Since its debut last year Tiny Pencil – the artszine celebration of all things graphite – has proved to be a firm favourite of Broken Frontier’s ‘Small Pressganged’ column with the first three issues all getting glowing reviews. The anthology mixes both sequential and non-sequential art, bringing together practitioners from the worlds of comics, graphic design and illustration. As Tiny Pencil’s tagline says, it has been “Giving good graphite and carbon copy since 2013”. Each issue has been themed giving the book a “McSweeney’s” kind of ethos and #4 takes on the subtitle of “The Death and Resurrection Issue”. If I mention that Broken Frontier favourites like Gareth Brookes, our BF Best Original Graphic Novel Award winner for 2013 for The Black Project, and S.J. Harris of the excellent dark comedy Eustace are involved on the comics side of #4 then those familiar with the work of both gentlemen will probably have an idea of what to expect. You set a goal, train, then practice some more until it’s game time and it’s time to show what you’re made of. Mission accomplished, goal achieved. But what do you do next? 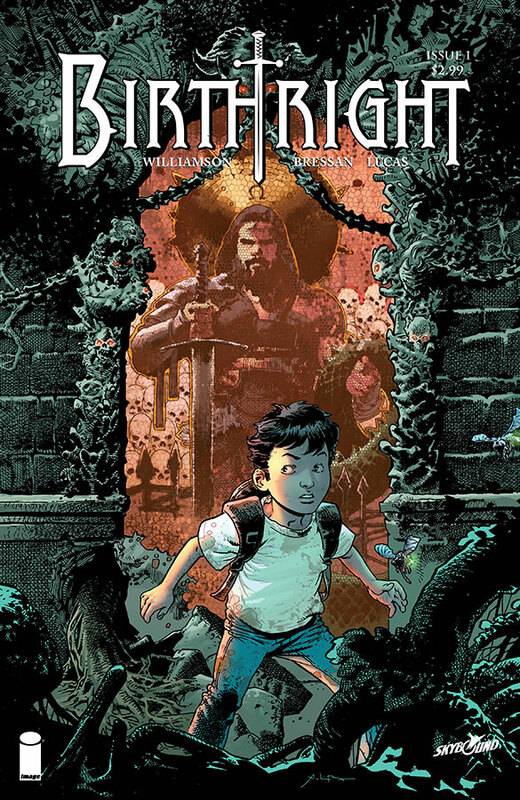 That’s what Joshua Williamson explores in Birthright, his third ongoing Image series (and second at Skybound) but the first that’s not steeped in blood (Nailbiter) or chills (Ghosted). If you used to typecast Williamson as a writer of fine horror, this is the book where he’ll prove you wrong. Strikingly brought to life by Adrei Bressan, who gives the book a style that’s at once modern and medieval, Birthright is outright fantasy like you’ve rarely seen it before. Where most stories explore the hero’s journey from start to climax, Williamson’s story actually picks up after evil’s plans have been thwarted. 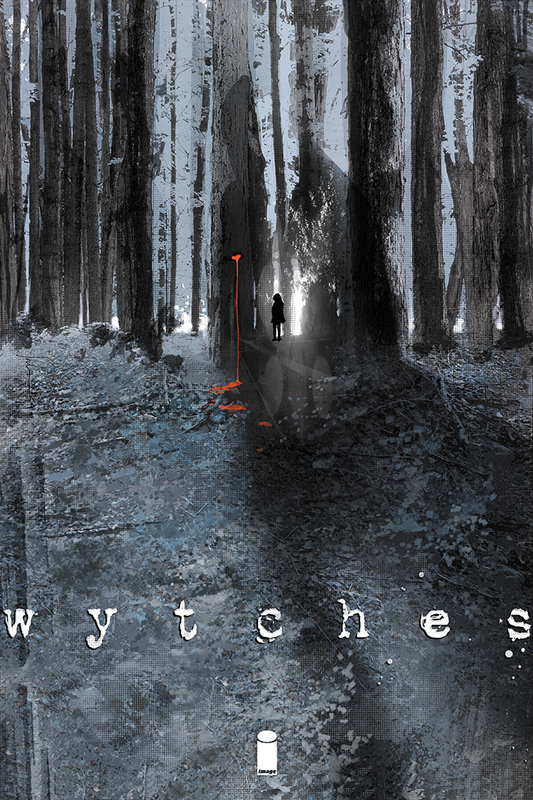 Young Mikey returns from an adventure in a fantasy world to find that in the real world, people presumed he was dead, and there’s no going back to life as he knew it. So, what comes after? Find out Wednesday. While Bill Mantlo’s name has been back in the news this year due to the surging popularity of one of his creations, Rocket Raccoon, in the Guardians of the Galaxy movie, fans of the early to mid-1980s era of Marvel Comics would point to his work on books like Peter Parker the Spectacular Spider-Man, Rom, The Micronauts and his seminal run on The Incredible Hulk as being the key points in his time at the House of Ideas. 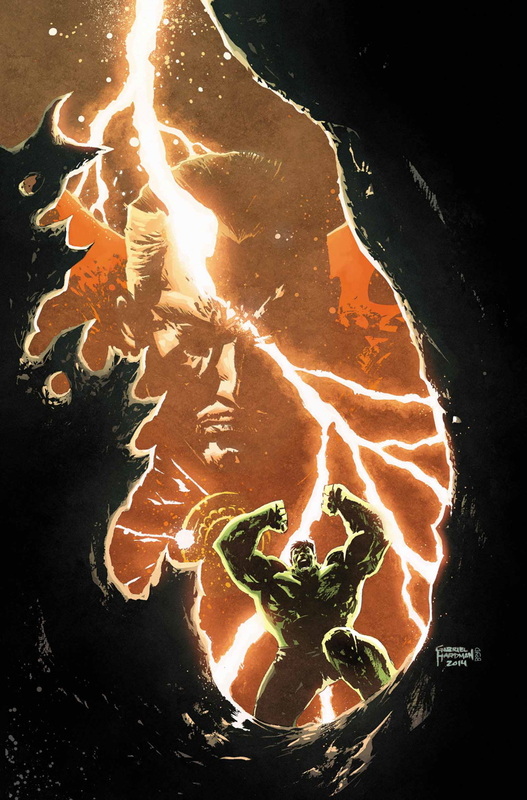 Indeed, that Hulk run is the definitive examination of the character’s nature for many. A three-act drama years in the making that saw Bruce Banner finally take control of the jade giant’s body to become the “intelligent Hulk” before slowly, and over an arc that lasted two and a half years, losing control of his alter ego in the most tragic and destructive manner. The final thirteen issues (and one annual) of Mantlo’s work on the character saw a now completely animalistic Hulk exiled to an interdimensional Crossroads by Dr. Strange where, divorced from the rest of the Marvel Universe, he roamed a myriad of alien worlds looking for a location he could finally call home. Now the creative team of Gabriel Hardman (writer/artist) and Corinna Bechko (writer) are returning to this period in the Hulk’s life in an arc for Marvel’s showcase Hulk title Savage Hulk with a guest appearance from that selfsame Sorceror Supreme himself. It’s an opportunity to revisit a fan-favourite period in the character’s publishing history, a nod back to the kind of playful use of old continuity that Marvel used to do so well, and a chance to remind ourselves of the fertile imagination of Bill Mantlo, one of the most under-rated writers in the company’s history. Welcome to a new series of Joshua Hale Fialkov’s “Punks”, the world of four (for want of a better word) friends and atypical college roommates who live together in a house they all un-democratically share. Regular fighting, violence, tricks, humiliations and sadness permeate the non-too-peaceful lives of Dog, Skull, Fist and Abe Lincoln – the residents of the house of punk. 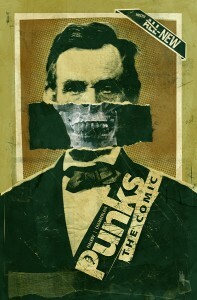 Punks returns with mostly new content and a bonus classic in the back of the issue, bringing back with it the comic’s fresh collage-style artwork and irreverent darkly subversive humour. If you think you’re the type to read comic books featuring college-student dead presidents and a guy with a fist for a head, this may be the right brand of surrealist comedy for you. If not… there’s zombie carrots. The new creative team takes over with this issue and big changes are coming courtesy of writers Cameron Stewart and Brenden Fletcher, artist Babbs Tarr, and colorist Maris Wicks. 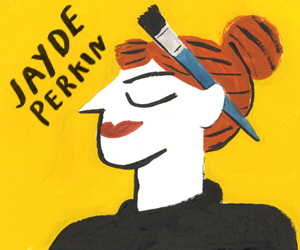 A youth movement is on hand as Barbara behaves like a typical twenty-something—she brings home random guys she just met, earns a terrific hangover, moves to Burnside, the “cool” part of Gotham, and has zero money in the bank. The title has an energy devoid of the darkness prevalent in most of the Bat-titles, and that may or may not be a good thing. The price of this sunny, youthful turn seems to be the dark drama that motivates most of the Bat-Family. Barbara’s boyfriend was shot by her father not so long ago and now she’s playing tonsil-hockey with a hot guy in a club and she brings him home? When The New 52 started, we suspended a lot of history to give these characters new lives and purpose. No character was more welcome than Barbara Gordon, healed and no longer needing her wheelchair, fighting crime as Batgirl after so long an absence. 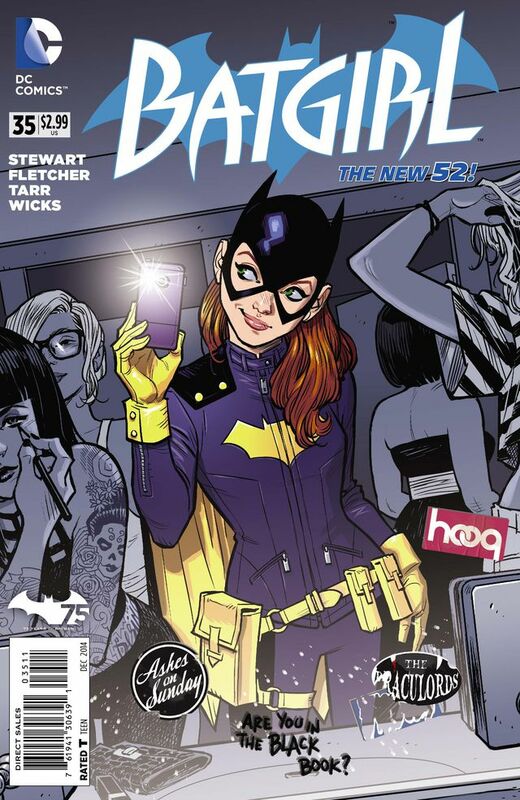 Fresh approaches to time-honored characters are always welcome in comics, and I’m looking forward to seeing how this new creative team handles Barbara Gordon and Batgirl. Given the places he’s been and the things he’d seen (as documented in books such as Palestine, Safe Area Gorazde and Footnotes in Gaza), you might forgive cartoonist-journalist Joe Sacco if he didn’t automatically see the funny side of life. 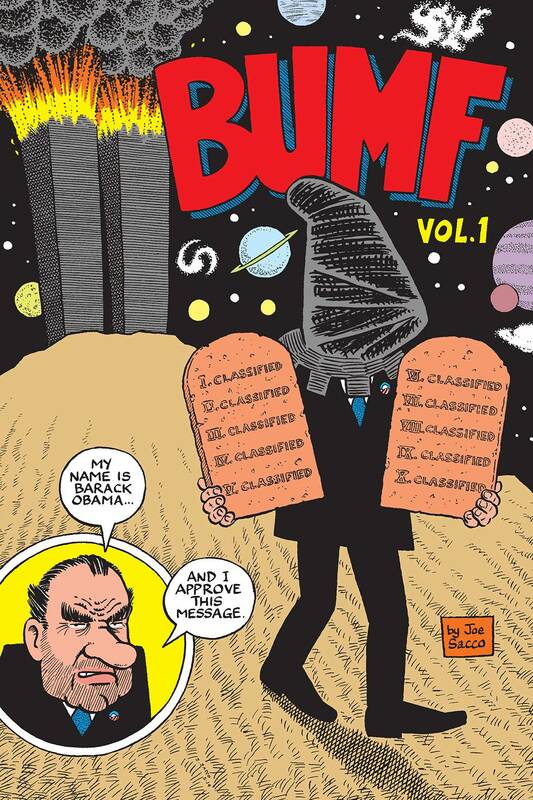 However, for his new series, Bumf, the artist is heading back to his underground roots, citing the influence of ZAP and Weirdo and promising an exuberant, satirical and confrontational read. Fantagraphics are promising something very distinct with the perfect-bound 100-page first volume (catchily subtitled ‘I Buggered the Kaiser’), claiming that it’s “Often puerile, disgusting, and beyond redemption”. 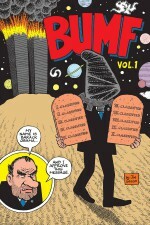 Even Sacco himself gets drawn into Fantagraphics’ uncharacteristic hype, declaring, “They expect better things from me. They’ll never put me on a stamp now.” It’ll be interesting to see how well the established audience for Sacco’s journo-comix respond to this change of tone. Now that Snyder and Capullo have wrapped up the blockbuster adventure of the “Zero Year” storyline, their next arc could be the end for the Caped Crusader. 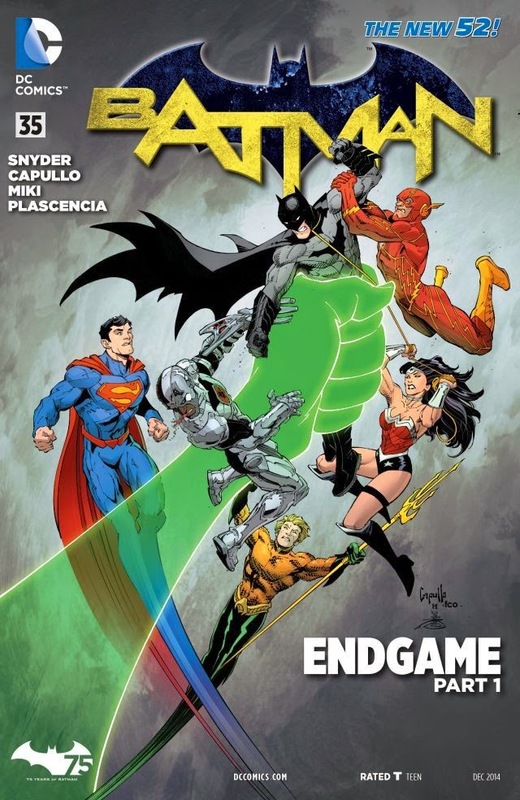 “Endgame” will be a six-issue arc, and DC promises that it will be “the biggest, deadliest, and most epic story yet” from this creative team. That description isn’t exactly helpful, but the newly revealed cover art depicting Batman versus the Justice League certainly offers some big hints at the big hits planned for this story.